With the coming of the month July, there is a great sense of gratitude in my heart for 60 years as a Stigmatine Priest, which I celebrate on July 1st – remembering ordination day, of long ago in Rome on July 1, 1956. Far more importantly, though, July is the month that St. Gaspar Bertoni began his own Spiritual Diary. As a record of his earlier life and thoughts, his parish sermons make known to us those first years of his priesthood [he was ordained September 20, 1800] – whereas his Diary manifests to us his extraordinary graces inspiring his thoughts and ideals for that time just prior to his foundation of the Stigmatines, which happened 200 hundred years ago this coming November 4th . His diary covers those years [1808-1813] immediately preceding his coming to found the Stigmatine Congregation. [2.] Feast of the Sacred Heart. During Mass, at Consecration, at Communion and throughout the whole thanksgiving time, many tears of compunction and affection. In particular, during Communion, I felt for a moment as if my spirit was snatched away from all creatures, at the service  of its Creator. The Feast of the Sacred Heart of Jesus was introduced in 1765 and quickly adopted in Venice and in the Venetian Republic. In 1808 it was celebrated on the 2nd of July because on its established day, namely Friday 24th of June, the liturgical calendar required the celebration of the Feast of the Nativity of Saint John the Baptist. On this July 2nd, the Church was within the Octave of the Holy Apostles Sts. Peter and Paul. On July 2nd, there was also observed the Feast of the Visitation of Mary Most Holy to St. Elizabeth. All of this in no way lessens our interest in the fact that, in his entry on this Feast of the Sacred Heart, we have the first indication of some characteristic mystical gifts which God was going to grant to Fr Bertoni. If we may say, here one sees what theologians call Piety as a gift of the Spirit. Hence, the many tears of compunction and affection. Compunction is intended here as a blend of spiritual illumination and a consequent feeling of one’s own inadequacy in front of the divine. What stands out here is that gift of the spirit snatched away from all creatures, at the service [obsequium] of its Creator. 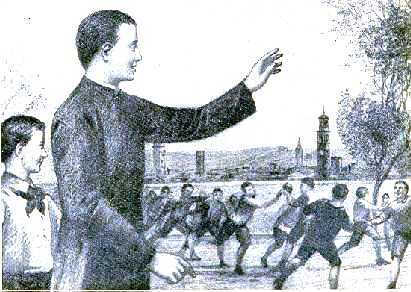 To this experience, Father Gaspar had contributed also by his own spiritual attitude. St. John of the Cross teaches that “the soul cannot receive the light of divine union unless it first rejects affection for creatures”. He also teaches that “every soul who wishes to climb the mountain of the Lord in order to make of himself an altar for the offering of pure love, of praise and service [ossequio], should have already fulfilled three conditions. The first is that it rejects from itself all affections and desires which are foreign to God. The second is that it should purify itself from the consequences of those affections which still remain by continually denying them and doing penance. The third condition is that it should change habits: only then the Lord himself will clothe it anew. Through such divine favor, the soul will finally be free from the old tastes and desires of the earthly man and will receive a new knowledge of God. Fr. Bertoni’s entire Journal is permeated by this spirit of total detachment. [17.] For the examination of conscience one should choose a Saint of the same vocation as a mirror. In this way, one finds matter for confession every day. Whatever falls short of that Saint’s perfection is faulty. This maxim of Fr. Gaspar provides an insight into what should be every examen of conscience for one called to perfection. Fr. Bertoni had chosen St Ignatius of Loyola as a model for his priestly vocation. He will tell us expressly in this JOURNAL on 15 Sept. 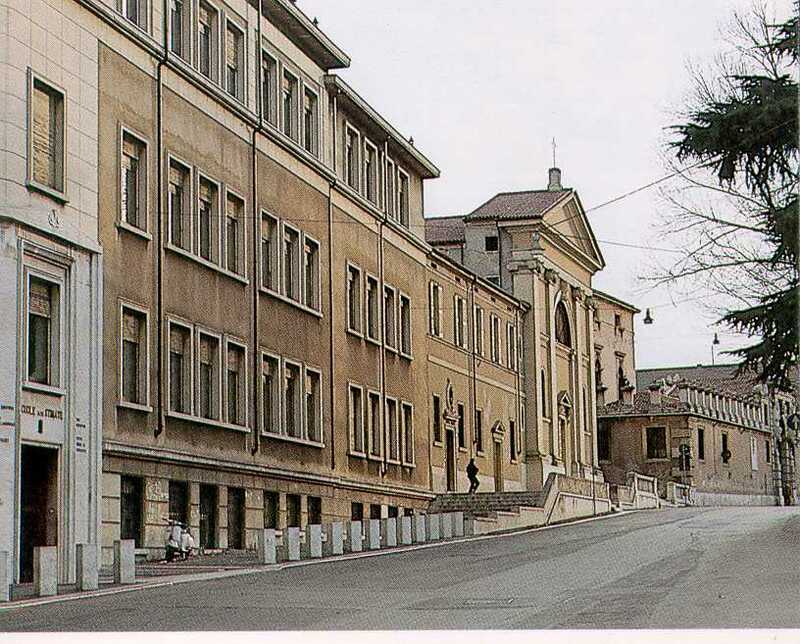 The first biographer, Fr Giacobbe, wrote that Fr Bertoni admired and studied much the works and virtues of St Ignatius, and had reproduced them very faithfully. In fact, Fr Gaspar studied the Life of St Ignatius directly of at least four authors, i.e. Fr John Peter Maffei, Fr Peter Ribadeneira, Fr Daniel Bartoli and Fr Francis Mariani. Of the handwritten extracts from the four authors which we possess, several could be part of this Journal. They reveal not only admiration for the Saint, but also his endeavor to imitate him. [18.] To seek God alone. To see God in all things. This is to make oneself superior to all human things. To commemorate these important texts, I submit for your reflection a rather lengthy meditation on St. Gaspar’s sources for the founding of the Stigmatines. As we approach the actual date in this second centenary year of the founding of the community honoring the Sacred Stigmata of our Lord Jesus Christ, please pray with us as we seek to renew St. Gaspar’ Missionary and Apostolic Spirit in the hearts of us all. 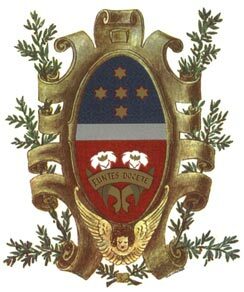 La Formula “In Obsequium” nel Linguagio di San Tommaso – Pe. Joseph Henchey, CSS, 1992. Website [‘A Tribute to St. Gaspar Bertoni’ – www.st-bertoni.com – seção ‘Life & Spirituality’ – ‘A Trinitarian Charism of Hope’] Note: For the first time in this document, St. Gaspar uses the word ossequio [cf. obsequium, in: Rm 12:1, ff.] – one of Fr. Bertoni’s favorite words. Cf. ‘Published Studies’ under St. Gaspar Bertoni’s Trinitarian Charism of Hope, on this Website. in his preaching to priests and seminarians: MssB ## 2632; 2635; 2637; 2647. It is found often in Fr. Gaspar’s Meditations on Primum Regum, based on St. Gregory the Great: MssB ## 4899; 4957; 4984; 4991; 4999; 5094 and 9707 – among other texts. The integral theme of the Paschal is found from his earliest written documents: his parish sermons up through his last letters to Fr. Bragato [cf. the same website, under ‘Life & Spirituality’ – Stimmate Integre]. Cf. Fr. Nello Dalle Vedove, Un Modello di S. Abbandono, pp. 53, 186. Website (as quoted above) Note: there is offered a reflection on the Ignatian spirituality contained in the word obsequium – cf. this website, Studies on St. Gaspar’s Compendium Rude. John of the Cross, The Ascent of Mount Carmel. C. 4, 1; c. 5, 7. Roma 1940: Ed. Opere, pp.17, 24, f.
 Mariani, Life… Book 4, c. 2, pp. 337. Summarium Additionale, Document 36, p. 456. Imitation of Christ, Book I, c. 18. This year, Pentecost will be celebrated on May 15, 2016. After taking some counsel on this, it seemed like sharing Fr. José Alberto Moura’s doctoral these, The Holy Spirit in the Charism of Fr. Gaspar Bertoni could be a help for all of us Stigmatines, to prepare spiritually for Pentecost. 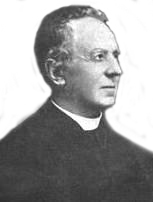 Father Moura was the youngest confrere in our Stigmatine history ever to be elected Father General. He is presently the Archbishop of Montes Claros, MG in Brazil. The Catechism of the Catholic Church refers very briefly to the Gifts of the Holy Spirit and just mentions the Gift of Counsel, [cf. CCC ## 1830, f.] – a heart to hear conversation first with God in contemplation, and then a heart to heart exchange of God’s Word which has been contemplated, is another way of expressing St. Gaspar’s ideal only to hand on only what we have first prayed over ourselves. This particular liturgical commemoration of Our Lady [often invoked through the month of May] is chosen also remembering an experience of long years ago – in the spring of 1953 – the American Stigmatine Students studying in Rome went on a pilgrimage to the shrine of Our Lady of Good Counsel, in Genazzano, Italy near Rome. St. Thomas Aquinas provides a rather lengthy treatment of the Gifts of the Hoy Spirit – in one classical study, the treatment of the Gift of Counsel covers from pp. 155-171. For St. Thomas, the Gifts of the Holy Spirit are among the effects of the Indwelling of the Holy Spirit. Counsel is that Gift which perfects the virtue of Prudence. This Gift of the Spirit is a habit of the soul, under the direction of the Holy Spirit, helping one to judge rightly that which must be done in view of the goal that God sets for us all, viz., eternal life with Him. Giving counsel is a prime Stigmatine apostolate of God’s word, “evangelical conversation”, as St. Ignatius referred to it. There is an excellent and truly inspiring biography of St. Gaspar Bertoni, has not yet been published – but hopefully, soon will be. In this magnificent work, Professor Ruggero SImonato entitles his biographical study as: With Meekness and Joy: A Profile of Gaspar Bertoni, a Man of Counsel. In this wonderful work, Professor Simonato speaks of St. Gaspar as being available as best he could to the very last days of his life, to the Church in his “Any Ministry of the Word of God Whatsoever” [a formula derived from St. Ignatius by St Gaspar]. 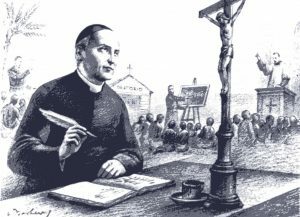 Spiritual Direction was just about the last aspect of the Apostolic Mission that St. Gaspar could offer just prior to his death on Jun 12, 1853. From his bed of almost daily atrocious pain and discomfort, St. Gaspar continued to read – or to have someone read to him. He would listen and meditate in the depths of his soul, even when he could no longer write. When even movement in bed became difficult for him, he would still welcome anyone who needed his help, or anyone who had just wanted to visit. He proved to be something of a ray of light on the night of those needing some direction and encouragement, emitting the light of his biblical and spiritual counsel. His spiritual direction was modeled primarily on that of St. Ignatius of Loyola through his classical Spiritual Exercises. The experts who have studied St. Gaspar in this aspect of his Apostolic Mission, also noted a similarity in his approach to offering spiritual direction, also much in accord with the gentle loving method of St. Francis de Sales. St. Gaspar’s discourse was highly seasoned with biblical and patristic insights – he seemed to strive to lead those willing to follow his advice into the very depths of their own humanity. He always maintained that in the depths of one’s nothingness, one will always find God. St. Gaspar is described in this phase of his life with his loving, learned style of spiritual paternity, with great cordiality and much humor in his face to face meetings. As a spiritual father, St. Gaspar numbered some outstanding directees both men and women. Among the women were the foundresses such as Leopoldina Naudet, Teresa Compostrina, St. Magdalene of Canossa and others. 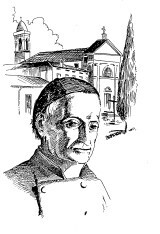 The future Cardinal of Verona, Luigi di Canossa – a contemporary of the English Cardinal Newman even as an old man, nourished a high esteem for St. Gaspar who so nourished the old Cardinal’s boyhood years. There would be St. Daniel Comboni, Founder of the African Missionary Fathers of the Sacred Heart of Verona – and also the renowned philosopher, Fr. Anthony Rosmini. Fr. Bertoni’s message was always one that inspired inner peace, and encouraged holiness in all who came to him. So, this year, for our month of Mary reflection, we offer the wonderful doctoral thesis of Archbishop José Alberto Moura, CSS. From this brilliant work, we will see the workings of the Holy Spirit in St. Gaspar – his deep interior instincts of the Spirit – and the awesome sense of hope that he expressed by his long life, as one steeped in hope for the Mercy of God. Let us ask our Lady of Good Counsel for help in being attentive to the whispered insights of the Holy Spirit. John of St. Thomas, Gifts of the Holy Spirit, Sheed & Ward 1951. Barthelemy Froget, OP, The Indwelling of the Holy Spirit. Newman Press 1952, pp. 263, ff. Antonio Royo Marín, OP, The Theology of Christian Perfection NY: Christian Perfection 1962, pp. 373, ff. Con mItezza e gioia. Prifilo di Gaspare Bertoni, uomo di consiglio. To be published – Part V. Nel cuore della città, # 3. All the women and men mentioned in this paragraph are briefly presented in Appendix I. The Stigmatines have three major community liturgical celebrations: January 23rd; the feast of the Hoy Souses, Mary and Joseph – June 12th, the Solemnity of the canonized Founder – and the Friday after Mercy Sunday, the Feast of the Sacred Stigmata [this year, it is commemorated on April 8th]. As we are soon to remember the last mentioned, the Sacred Stigmata are remembered on Good Friday, as a major cause of our Lord’s death. They are also remembered on “Mercy Sunday’, as the Gospel is on the wounds of Christ retained in His risen body, the source of the Church’s Apostolic Mission of Mercy. The present placing of the Feast of the Stigmata in the Easter time remembers this revelation of the Mercy of God – but a Friday was chosen, that we never forget the sorrowful side of these two aspects, both sorrowful and glorious. As in the Eucharist, we pray with the Church each day: Say only the Word and my soul will be healed. She learned from Isaiah 53:5, that the wounds inflicted on the mysteries Suffering Servant would be instruments of our healing! The accompanying document is an excerpt from the introduction to my study Stimmate Integre, in which I offer a few reflections on the feast of the Sacred Stigmata, and in general on the Stigmatine Charism. A blessed Easter time and feast of the Sacred Stigmata to all! P.S. : I take this opportunity to let you know I will be participating in a Symposium on Father Cornelio Fabro, CSS, in the Catholic University of America, in Washington D.C., on April 1st – 2nd, 2016. For further information, this is the web-address: http://www.corneliofabro.org. Appendix I: “A Few Reflections on the Feast of the Sacred Stigmata”, by Rev. Joseph Henchey, CSS – 2000. The study Stimmate Integre can be found on the website: “A Tribute to St. Gaspar Bertoni”: www.st-bertoni.com, under “Life & Spirituality”.